12.1. What is a GSM Modem? A GSM modem is a wireless modem that works with a GSM wireless network. A wireless modem behaves like a dial-up modem. The main difference between them is that a dial-up modem sends and receives data through a fixed telephone line while a wireless modem sends and receives data through radio waves. A GSM modem can be an external device or a PC Card / PCMCIA Card. Typically, an external GSM modem is connected to a computer through a serial cable or a USB cable. A GSM modem in the form of a PC Card / PCMCIA Card is designed for use with a laptop computer. It should be inserted into one of the PC Card / PCMCIA Card slots of a laptop computer. Like a GSM mobile phone, a GSM modem requires a SIM card from a wireless carrier in order to operate. As mentioned in earlier sections of this SMS tutorial, computers use AT commands to control modems. Both GSM modems and dial-up modems support a common set of standard AT commands. You can use a GSM modem just like a dial-up modem. Reading, writing and deleting SMS messages. Monitoring the charging status and charge level of the battery. Reading, writing and searching phone book entries. The number of SMS messages that can be processed by a GSM modem per minute is very low -- only about six to ten SMS messages per minute. 12.2. What is a GPRS Modem? A GPRS modem is a GSM modem that additionally supports the GPRS technology for data transmission. GPRS stands for General Packet Radio Service. It is a packet-switched technology that is an extension of GSM. (GSM is a circuit-switched technology.) A key advantage of GPRS over GSM is that GPRS has a higher data transmission speed. GPRS can be used as the bearer of SMS. If SMS over GPRS is used, an SMS transmission speed of about 30 SMS messages per minute may be achieved. This is much faster than using the ordinary SMS over GSM, whose SMS transmission speed is about 6 to 10 SMS messages per minute. A GPRS modem is needed to send and receive SMS over GPRS. Note that some wireless carriers do not support the sending and receiving of SMS over GPRS. If you need to send or receive MMS messages, a GPRS modem is typically needed. 12.3. Which is Better: Mobile Phone or GSM / GPRS Modem? Some mobile phone models (example: Ericsson R380) cannot be used with a computer to receive concatenated SMS messages. What is a concatenated SMS message? A concatenated SMS message is a message that contains more than 140 bytes. (A normal SMS message can only contain at most 140 bytes.) Concatenated SMS works like this: the sender's mobile device breaks a message longer than 140 bytes into smaller parts. Each of these parts are then fitted in a single SMS message and sent to the recipient. When these SMS messages reach the destination, the recipient's mobile device will combine them back to one message. 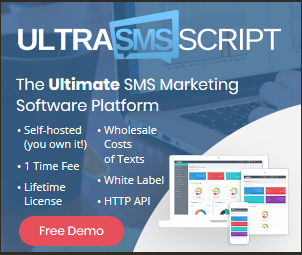 When the mobile phone receives the SMS messages that are parts of a concatenated SMS message, it combines them to one message automatically. The correct behavior should be: when the mobile phone receives the SMS messages that are parts of a concatenated SMS message, it forwards them to the computer without combining them. Many mobile phone models cannot be used with a computer to receive MMS messages. Because when they receive a MMS notification, they handle it automatically instead of forwarding it to the computer. A mobile phone may not support some AT commands, command parameters and parameter values. For example, some mobile phones do not support the sending and receiving of SMS messages in text mode. So, the AT command "AT+CMGF=1" (it instructs the mobile phone to use text mode) will cause an error message to be returned. Usually GSM/GPRS modems support a more complete set of AT commands than mobile phones. Most SMS messaging applications have to be available 24 hours a day. (For example, an SMS messaging application that provides ringtone downloading service should be running all the time so that a user can download ringtones any time he/she wants.) If such SMS messaging applications use mobile phones to send and receive SMS messages, the mobile phones have to be switched on all the time. However, some mobile phone models cannot operate with the battery removed even when an AC adaptor is connected, which means the battery will be charged 24 hours a day. Besides the above issues, mobile phones and GSM/GPRS modems are more or less the same for sending and receiving SMS messages from a computer. Actually, you can consider an AT-command-enabled mobile phone as "GSM/GPRS modem + keypad + display + ...". There is not much difference between mobile phones and GSM/GPRS modems in terms of SMS transmission rate, since the determining factor for the SMS transmission rate is the wireless network.